The milling centre Jobs eVer 7, characterised by mobile overhead gantry structure sliding on fixed columns or on a concrete base, represents the state of the art of the moulds&dies machining technology in the automotive industry, especially for the machining of large-size dies requiring both high-power chip removal capacity and high-speed finishing operations. Jobs eVer 7 design principles are: high dynamics (speed up to 50 m/min), high material removal rate (spindle power up to 85 kW), automatic head changing system (BUSS), full enclosure for efficient containment of chips and coolant, wide possibilities of customized solutions and automation. 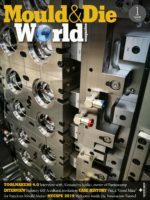 The machine is available with the following dimensions: longitudinal axis up to 8500 mm (with extensions of 1500 mm), transversal axis up to 5000 mm and vertical axis up to 1750 mm. 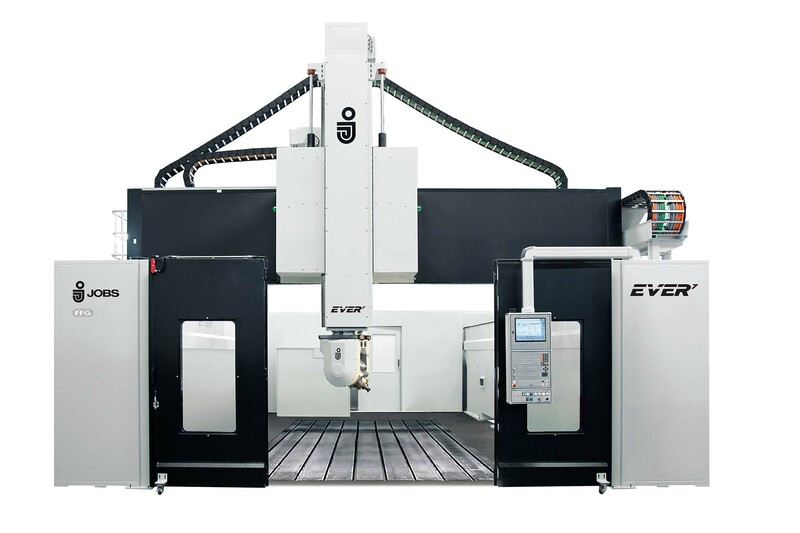 eVer 7 can be equipped with fully automatic pallet change system to handle the drawing dies and with automatic head changing system (BUSS) allowing the use of different high-torque or high-speed milling heads which provides the ability to start a part and finish it in a single setup machining operation, best cutting performance and reduction in cycle time.